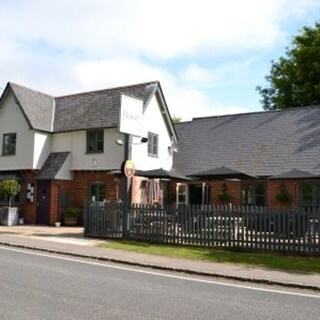 The Boot Pub in Bledlow Ridge is a village owned country pub and eating house. We are proud to be a free house and support our local Marlow Rebellion brewery. 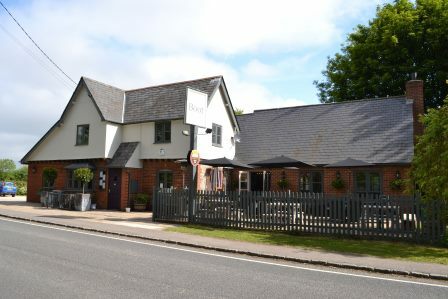 A Buckinghamshire pub situated in the heart of the picturesque Chiltern Hills, the Boot offers local ales, fresh locally produced food and fabulous wines. Our chef’s desire to create modern and delicious dishes, suit all tastes, so you and your family can dine in style. The Boot’s ample garden provides hours of fun for children (and well behaved dogs) to play. Our stunning outdoor, heated eating area has ample room for marquees to cater for larger events, such as Christenings, Weddings and Funerals. We can cater for a maximum of 70 guests seated within our restaurant or larger parties of up to 120 guests offering canapes or a buffet. Whether you fancy joining us for a casual drink, a delicious meal or a leisurely Sunday lunch, you will always be greeted with a friendly smile and attentive service. Went for lunch with a friend, weather really great so drinks outside and then inside for lunch. All courses enjoyed particularly the crispy duck salad (small portion was perfectly adequate for a main course) and the scallops. Never a disappointment and one to return to. Wonderful Sunday Lunch with family-food and service were excellent. Short staffed led to long waits and we had to enquire about our food. Another couple left after no one approached them. New chef let plates leave the kitchen without checking all was present and correct. Manager gave a generous discount to compensate. But, without knowing when they are fully staffed we wont be going back for quite a long time. Disappointing really, as I was looking forward to eating at The Boot. I had heard much about it, from friends who live close by, but it didn't live up to expectations. It was very good - service, atmosphere and service - as always. Everything super yet again! Would recommend! Sadly, despite coming here a few times over the years, this was not a good experience. The food was good, if a little overpriced for sausage and mash, but the service was awful. A long wait for the main course with no communication followed by another long wait to be given a desert menu. We then waited so long fo somebody to take an order that we got up and asked for the bill at the bar. I don’t expect we’ll be returning any time soon. Lovely meal in a nice environment, quite noisy when busy ( maybe just the crowd on Sunday hence the 4 stars ) food was excellent and service was great! Priced about right for the quality of food not cheap but not expensive. Would definitely recommend and will be back. Great food, very tasty and the service was excellent will definitely book again. Excellent ambience, lovely decor, polite and knowledgeable staff topped off with superb food, what’s not to like! A great experience and have recommended it to several people already and will be returning shortly. Excellent meal, very good value for quality food, The soup of the day was Garlic Onion and potato and it was so very tasty. First rate lunch. Our guest is from Australia and was very impressed. We had a lovely evening, wonderful food, nice atmosphere and great service - thank you! First time here and really enjoyed the experience. I do feel the staff could be a little bit more attentive but I understand they were busy. Overall though very nice place and good food. The community are very fortunate to have the Boot on their doorstep. Excellent food and friendly efficient service combined to make a great evening which I look forward to repeating. 4 of us came out for dinner on Saturday evening, lovely starters and mains. Lots of choice and couldn't fault the service.